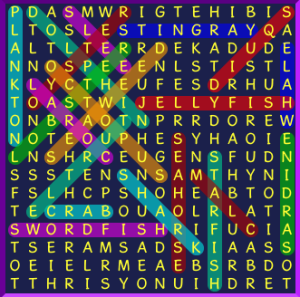 There are 35 Binweevils Wordsearches within the game. They seem to get harder as you get down the list! 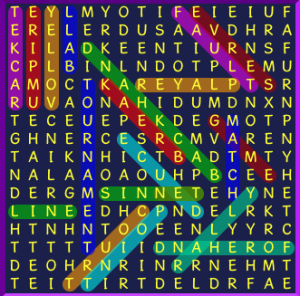 For all the answers and where to find all the words, check out the images below! 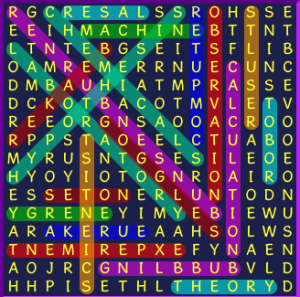 You will find them all and not have to spend the time of actually looking for them! 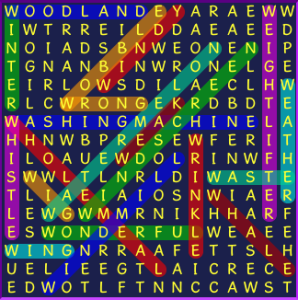 Completing wordsearches gives you 10 mulch and 1 xp for each word you find within each wordsearch. 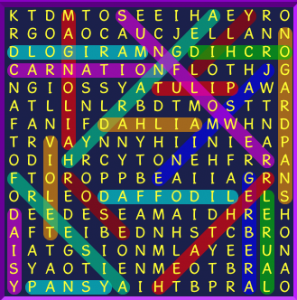 There are 20 words to find within each one! That is 200 mulch and 20 xp that you can earn for completing a wordsearch! 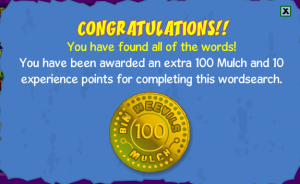 Not only that, but you also get an extra 100 mulch and 10 xp for completing the full wordsearch! So what are you waiting for? 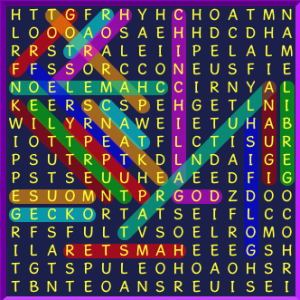 Check out the wordsearch cheats and answers below! Try to find any name of a game that you use a ball while playing! Think of a pet that you might own and find that animal! Know of any flower names? Try to find 20 different flower names on this one! 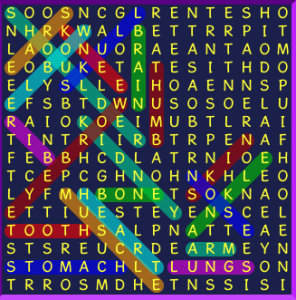 Basically you are looking for the names of your body parts here! 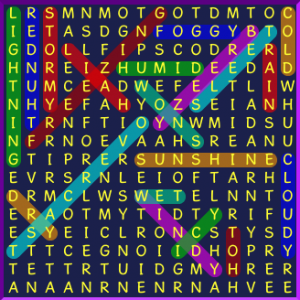 Any word that you can relate to weather will mostly likely be one you want to circle! Do you like vegetables? 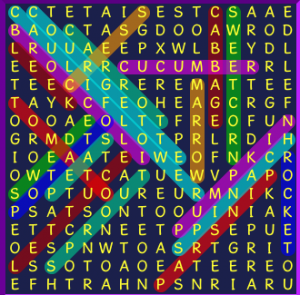 Find the names of the most common veges in this one! 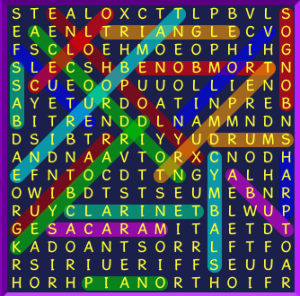 Any instrument that can be used to make music might be in this word search! 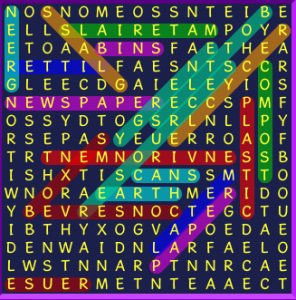 Words that relate to recycling are the ones you want to keep an eye out for here! 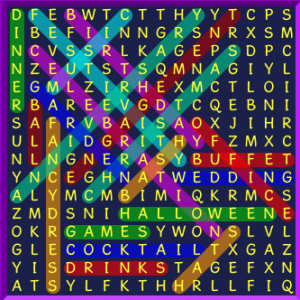 A party themed wordsearch!? What is better than that? Any word that you can think of that has to do with the game of Football is likely to be in this search! Remember that day of the year that you fill bags full of candy! The best treat in the world! 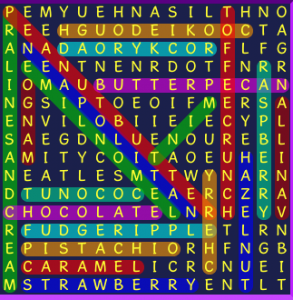 Can you find all of the flavours that you love? 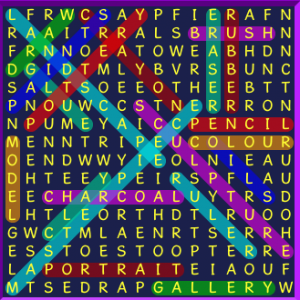 Any word that you can think of in regards to Art! Find all of the countries in Africa! Can you do it? You know the game Monopoly right? 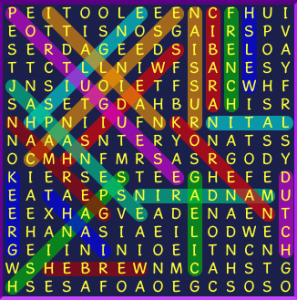 Find everything that relates to it in this wordsearch. Look for all of the different languages here. Can you find them all? 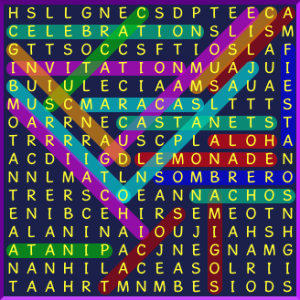 Any word that relates to a Fiesta could be in this puzzle. 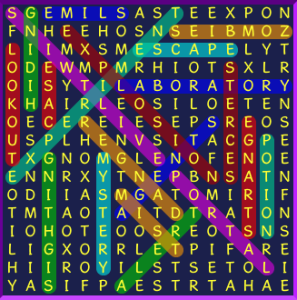 Words that start with the letter W. This one was pretty easy! Think about your favorite fairy tale and the words that you relate to it! Planning on going on a top secret mission? These words will all relate to it! You are at school all the time so this one should be easy for you. Ever been to the Ocean? 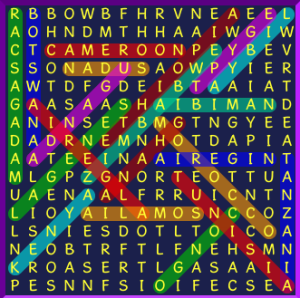 If you have then this puzzle should be easy for you! 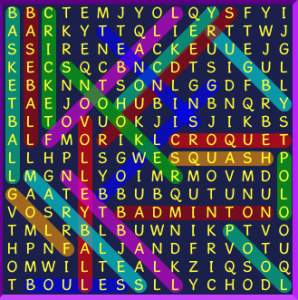 When playing the game of Tennis, you might run into all of these words. The Science Lab is where all of the research happens. 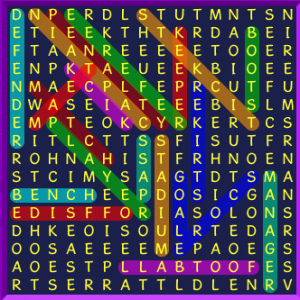 Find the words and become a scientist expert! 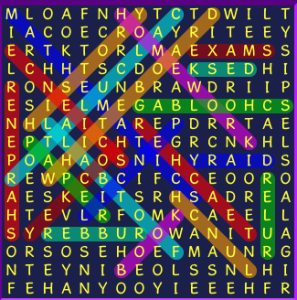 That is all of the wordsearches for level 1, level 2, level 3, level 4, level 5, level 6, level 7, level 8, and level 9. 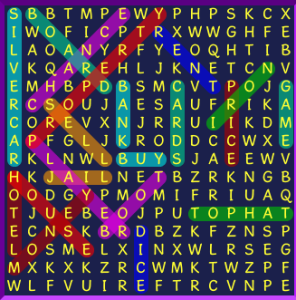 Check this page out for complete wordsearch answers and cheats for levels 10 – 35! I will have them up as soon as I can. Don’t forget to follow me on Twitter and checkout my Facebook page!